How many times have we all heard that? At work, school, or with friends and family? Or maybe, more appropriately for a lot of us, how many times have you said it yourself? But is it actually true? Or is it a convenient, or maybe even subconscious, response to the inherent difficulty of learning a complex subject? 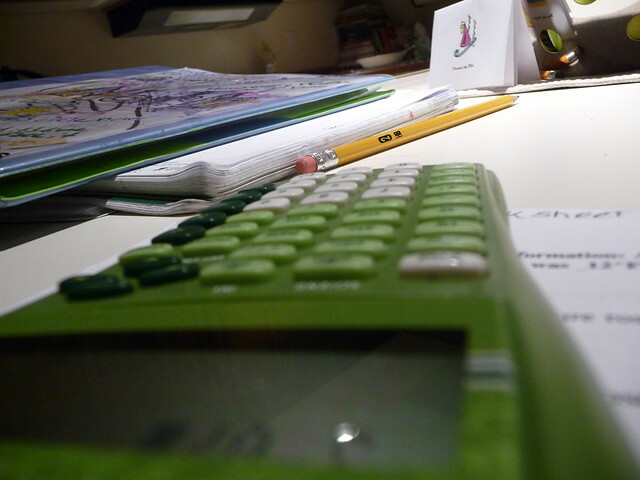 Yes, math is more difficult than most standard life skills (learning to walk, talk, interact with people, etc. ), but that does not at all mean it’s not within reach of the average person. In fact, according to Daniel Willingham, professor of cognitive psychology at the University of Virginia, humans seem to be born naturally able to understand the rough concept of a number (e.g. when comparing 10 coffee beans to 50 coffee beans) and manipulate small numbers, and understand that numbers and space are related (e.g. going forward 10 meters gets you over here, going backward 10 meters puts you over there). This seems to mean that the underlying machinery to learn and understand math is present in all of us. So what makes some of us good at math then? Do you believe in math? Well, professors Noah Smith and Miles Kimball show that the one key difference between students who are good at math and those who aren’t is simply that their belief in math as genetic, as opposed to a learned skill. Turns out, it’s much like a self-fulfilling prophecy: if you think your abilities in math are determined by your genes, chances are you probably won’t get that far. 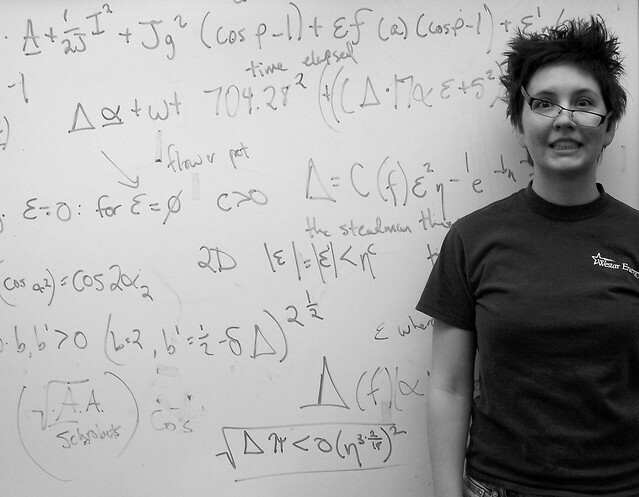 If you think math is learnable, chances are you’ll end up a calculus whiz. So, depending on your BELIEFS about learning, you might just not have the MOTIVATION to dig in to tough higher-level math. I wouldn’t go as far to say that if you don’t think you’re a math person YOU’RE LAZY, but it definitely turns into a convenient excuse not only given by students, but actually (and tragically) promoted by parents and teachers. 1. Factual Knowledge: memorization of the answers to a small set of fundamental math problems. This would include numbers, counting, addition/subtraction, multiplication/division, etc. These things need to be fully committed to long-term memory, so that you don’t have to use any working memory to process them. Otherwise, when you reach more complex math, like long division or algebra, you’re going to get stumped much more easily trying to use your brainpower to figure out how to multiply two numbers and perform other more complex operations at the same time. 2. Procedural Knowledge: an understanding of the procedures and rules to apply. This means knowing the sequence of steps you have to follow to solve math problems, and the constraints that apply to different concepts. These are things like factoring, order of operations, trig functions, etc. This, in addition to memorization of the basic math fundamentals, makes up the core foundation of the mathematics toolbox. And virtually anybody can memorize basic facts and sets of rules and procedures (we do this naturally with language), it just takes time and practice (which many people aren’t willing to give because, you guessed it, they don’t think they’re any good at math). 3. Conceptual Knowledge: an understanding of the meaning behind the numbers, operations, and rules. This is widely regarded to be the most difficult thing to teach when it comes to math, because in order to understand the rules that apply to say, algebraic variables, you need to be able to relate that to something you are already familiar with (e.g. I push with this amount of effort “f” and that results in this amount of acceleration “a” for any object as heavy as “m”). The problem becomes finding something you’re familiar with. And this is where most students and teachers stop, not realizing that it’s impossible to simply learn the facts and procedures without making analogies and relationships to real-world experience. Imagine trying to learn Chinese just by reading a book full of symbols and rules for how to put those symbols together. (Side note: this is why I think learning physics and geometry should occur directly alongside any math class that goes beyond basic functions. Because, guess what? That’s where mathematics came from!) 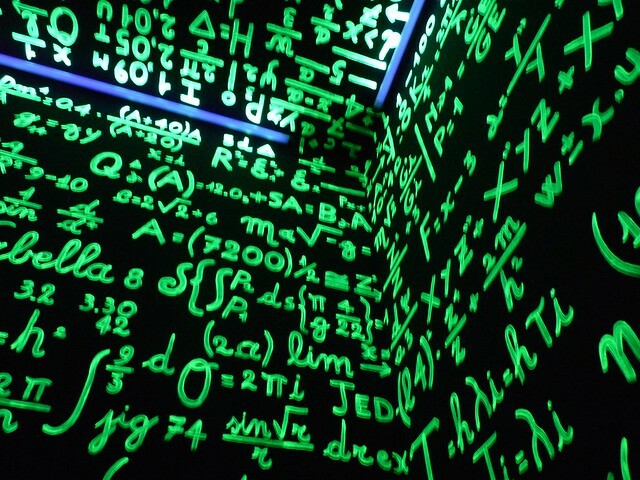 And this is the reason why most students not only think they aren’t “naturally good at math,” but also how they fall behind – because as the problems become more complex, the conceptual understanding behind the numbers is essential to figure out what to do when, for example, you have a polynomial algebra problem buried inside of an integral. 1. 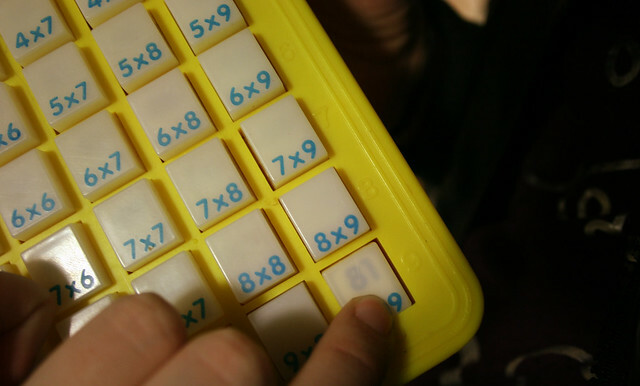 Memorize the basic math facts (yes multiplication tables are actually useful). 2. Learn the rules and procedures that go along with different operations. 3. Simultaneously learn the meaning behind the operations, relating them to familiar knowledge and experiences you already have inside of your head.